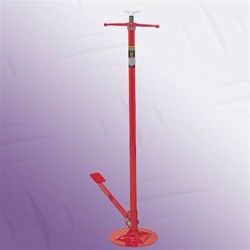 Fleet garages, agricultural and construction maintenance shops where a pin type height adjustment column is desired. Pin type support column adjusts to multiple height positions (see dimensions). 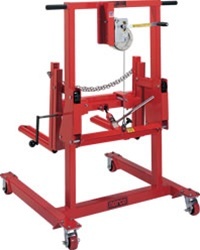 Adjustment pin is secured to stand to prevent loss. Four legged base made of heavy schedule 2" diameter pipe for added stability. 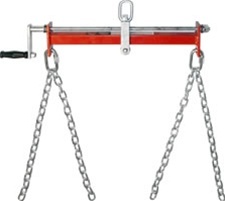 Large support saddle with locating lugs position and center load. 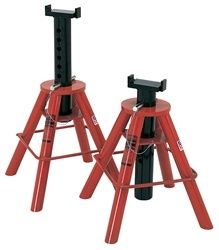 Be the first to review “NORCO 81208 10 TON CAPACITY JACK STANDS (LOW HEIGHT) – 1 PAIR” Click here to cancel reply.